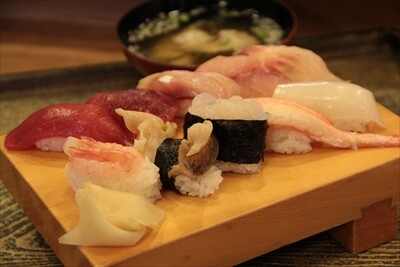 This sushi shop is held by a father and his son, featuring fresh fish from both Himi and Shinminato. The Ume lunch set for 1,050 Yen is popular. The conger eel sushi and the rolled omelet are also popular items. Many families visit this shop due to its cozy atmosphere.